Stefan Voigt (PhD), studied geography, physics, remote sensing and urban planning at LMU and TUM in Munich. Between 1997 and 2000 he worked as research assistant in a European Program at Bern University and received his PhD in 2000. 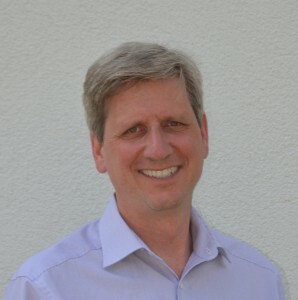 Since 2000 he is affiliated with the German Aerospace Center (DLR), where he initiated and coordinated many national, European and international research projects in the domain of Earth Observation in support of environmental and disaster management as well as for humanitarian relief. He conceptualized, implemented and coordinated the DLR Center for satellite based crisis information as well as drove DLRs accession to the International Charter Space Major Disasters. He has substantially shaped the emergency management theme of the European Earth Observation Program Copernicus. He helped defining and implementing the UN-SPIDER program and initiated as well as chaired the International Working Group on Satellite based Emergency Mapping. Recently he has published an article on global trends in satellite based emergency mapping in Science as lead author. Since several years he is advancing DLRs technology support for humanitarian relief organizations, NGOs and the United Nations and currently coordinates a dedicated DLR programme on this topic. He is founder and chairman of the Open Search Foundation, a non-for-profit that brings together individuals, professionals as well as organisations to discuss opportunities and challenges in this context of public, open and cooperative Internet search.